Geoff and I have always been avid holiday card givers! 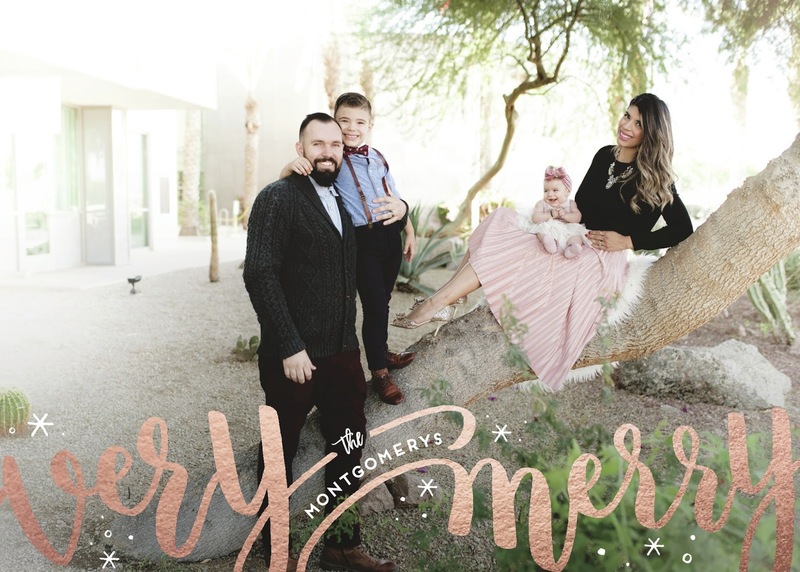 We absolutely love coming up with a picture to commemorate the season or year and then usually DIY the print job on them! Throughout the years, when we receive cards from our loved ones, Minted ones stand out each time! The print quality is so nice and the paper is so luxe! 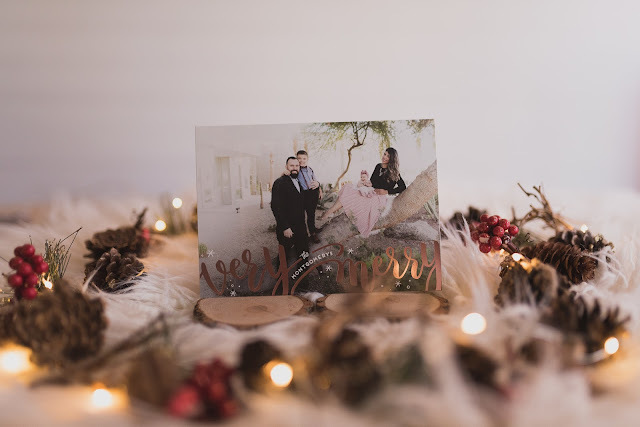 This year, I feel so lucky to have been able to partner up with Minted for our holiday cards! We were originally going to do only pictures of Luna and Oliver but at the very last minute (I’m talking, 20 minutes before we were leaving to shoot them), we decided we should be in them. So we tripod and timer’d them! Let me tell you, we were a hot mess! Getting an infant and a toddler to look at a camera on a tripod without anyone there to guide them- ahhh! We also were super unprepared because we needed a location and both thought the other had one in mind already! So it took us about an hour of driving around, and another to actually get a decent shot! Not to mention that in between this, we missed Luna’s awake happy time and had to wait for her to eat and take a power nap before we could attempt it again. Our first location was awesome- an old part of downtown with an old white gate and steps, but it was so windy that our littles were not having it (since there was nothing to block the wind). Our second location was unexpected but had an awesome tree and cacti surrounding it so we laid our plush white rug over the low trunk, and up we crowded around it! Let me tell you that sitting on a tree trunk is not all it’s jazzed up to be haha! Once we got home, we uploaded the pictures and found the best one and let me say that considering the trouble it took, I’m super happy with the picture we chose! Luna’s tiny little body sitting on me, with her clasping her tiny hands, with her tiny bracelet, smiling so big at her daddy and brother….all the heart eyes! Oliver and Geoff look so happy and handsome, too! 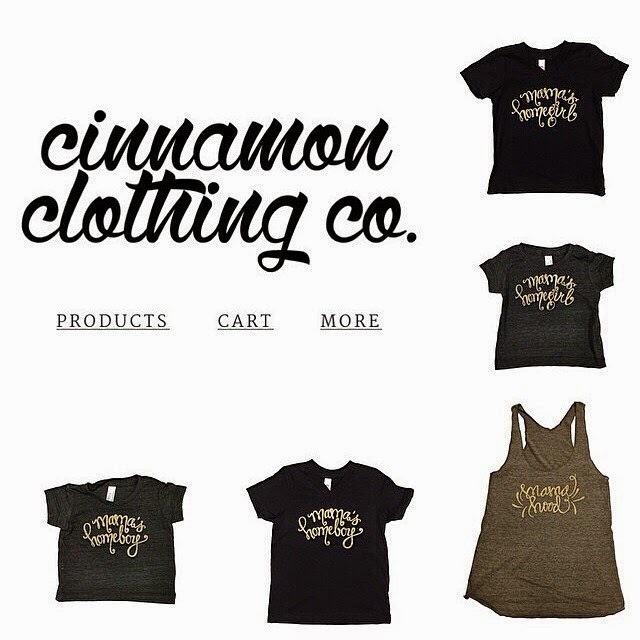 After a quick edit, we uploaded the picture onto Minted.com and got to choosing our design! I knew I wanted gold foil so I was able to quickly navigate through the sort options and choose that since there are so many beautiful choices available. I was set on gold as always but then saw that the card we chose has a beautiful rose gold option and it matched what we were wearing better! 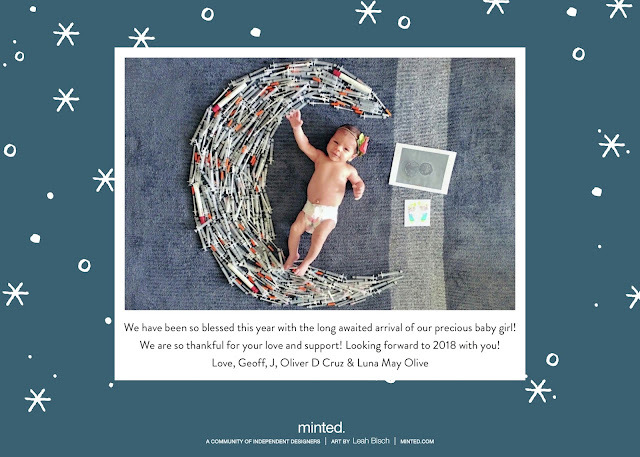 I also had realized that we never got a chance to mail out a birth announcement for Luna, and Minted actually has an option to add to your card in the back (it actually even gives you the option for a little book, multiple pictures, an actual birth announcement, and many others). We chose Luna’s IVF picture with all the IVF needles we used forming a moon and wrote our holiday greeting on the back! There are SO many options, you guys! From the envelope liner, to the fonts used, to the style you want- the possibilities are truly endless for your perfect customization! 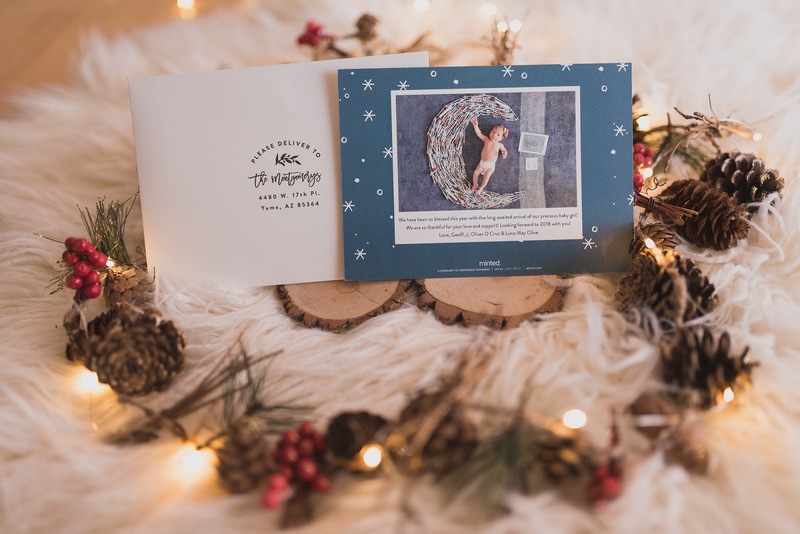 I love that they have so many designs by independent artists- so it feels like you are supporting creative people: Minted has competitions where artist enter their submissions, we vote, and voila, a winner is chosen and becomes a card you get to customize! How rad is that? Minted.com also has an Excel spreadsheet you can add your addresses to and I’m so glad I used it because now I have an organized way to keep addresses that I can add onto or edit throughout the year! Did I mention they have free personalization?! How amazing is that!! This one is going out for our IVF doctor! & yes I realized after this picture, the stamp was on the wrong side- oops! haha! Once we ordered, we had the option of getting a proof emailed to us or just finalizing it. I went with getting a proof first and I’m SO glad I did because despite how many times I looked at it, I completely missed that I hadn’t changed the default family name in the front of the card. So we almost got cards that said “Love, the Andersons” hahaha! Within a few days, we received our cards and omg!! 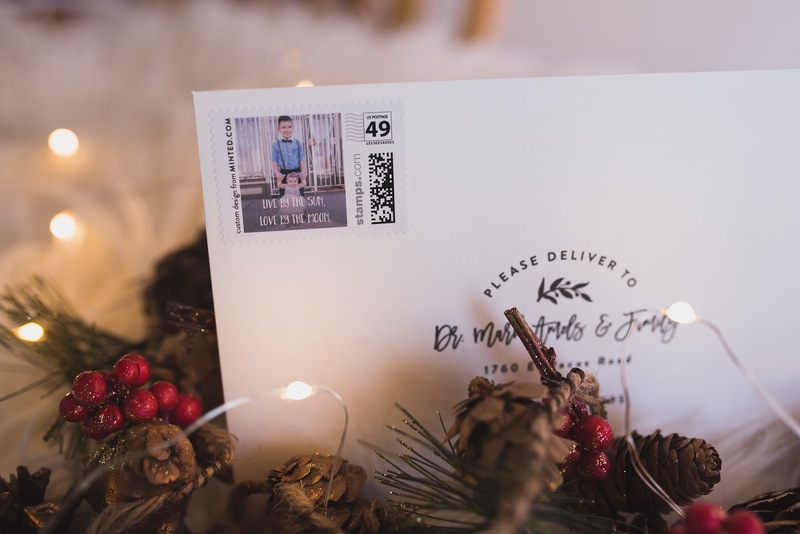 The quality is superb, the customer service is on point, the designs are beautiful and you can’t beat free addressee personalization! They also have gifts you can personalize using your pictures which make great year round gifts for your loved ones! Have you ordered your holiday cards this year? You don’t have to go out and shoot new pictures! You can choose favorites from this past year! & Minted even has New Years cards and all sorts of greeting cards and announcements! I am hooked and know so many friends that are, too! Snail mail is my absolute favorite (seriously, I check it every day excitedly) and love receiving and sending mail! I hope you do, too!! Happy Holidays from Minted & us! 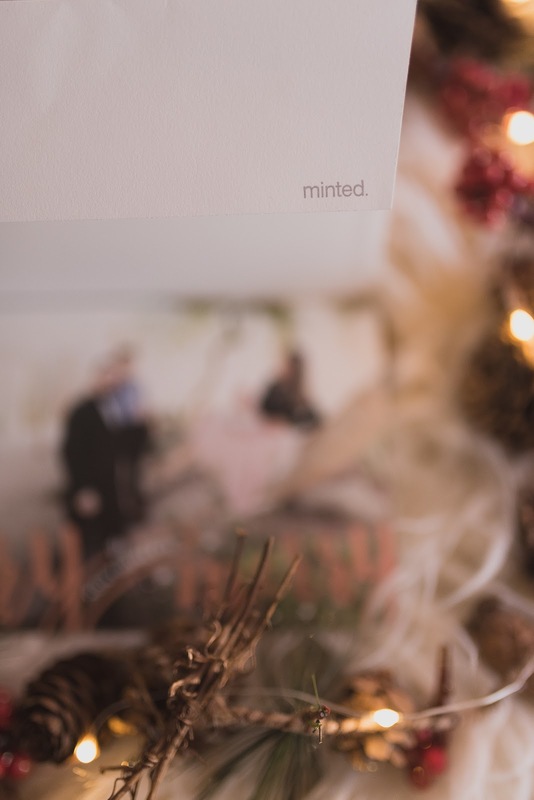 Minted is having a sale right now so you still have time! Holiday and New Year cards are 15% off or you can enjoy free shipping! click here for a discount or free fast shipping! !